"In two years, this app has become one of the top violin tuners on Google Play, and helps tens of thousands of people to develop their violin skills: The algorithms are fast and accurate, and consequently usable not only for tuning the violin but also for checking intonation during practicing." A4tune 2.0 has been just released with many new features, like improved look, tutorial to get you familiar with the tuner, and built-in help. The biggest addition though are buttons that play reference tones - so now you can also practice tuning by ear easily. Install the new version from Google Play, and enjoy the tuning! New version of A4tune Guitar and Violin Tuner has just been released. 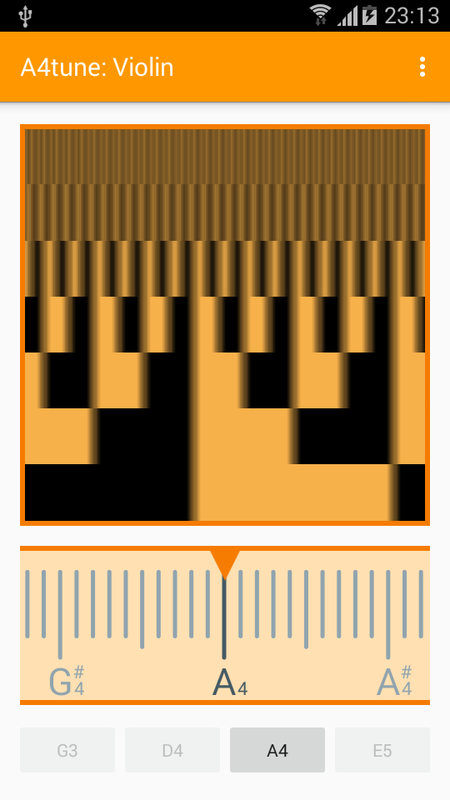 It further improves stability of the pitch detection in the chromatic view. Get it from the Google Play, or wait until it updates in your device. 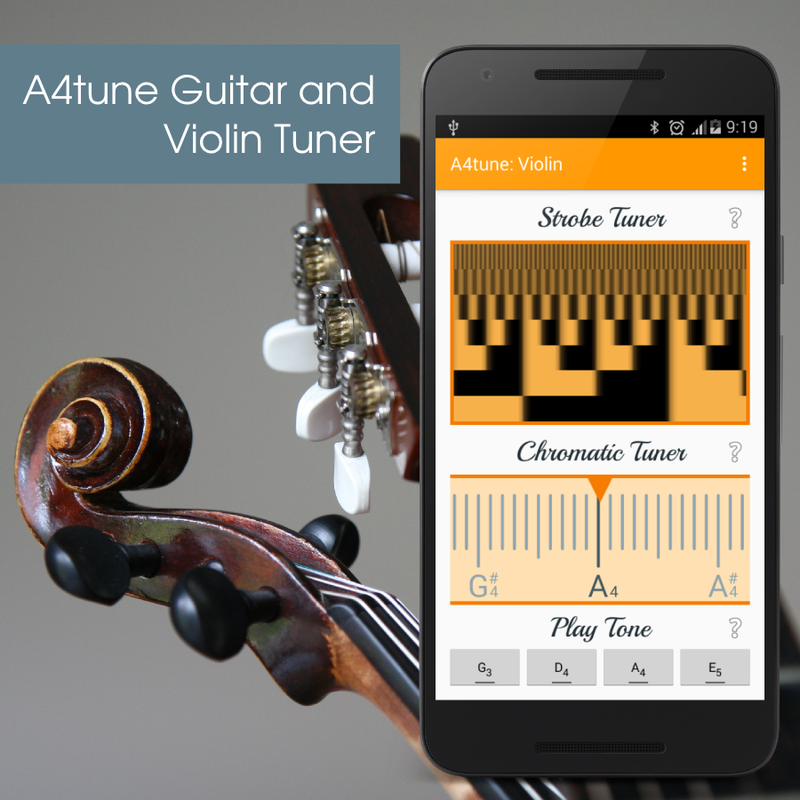 To install the A4tune Guitar and Violin Tuner on your Android device, just visit its Google Play page and press the "Install" button. 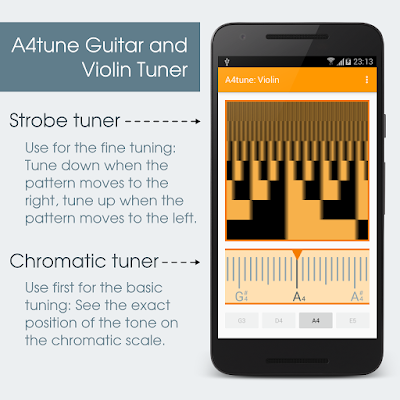 A4tune is a guitar and violin tuner for Android, designed to tune your instrument extremely precisely and very efficiently using two displays: the strobe tuner at the top, the chromatic tuner at the bottom. You can switch between the violin tuner and the guitar tuner in the settings, or you can adjust the concert pitch frequency there. A4tune is ideal for tuning your violin or guitar, and you'll really enjoy the sound of your instrument after tuning.